Compress PDF, PPT, Word, Excel, PNG, TIFF &amp; JPEG files free online. No file limits, no registration &amp; no watermarks; just smaller, easy to share, high-quality files. Our secure online service reduces common document, image &amp; Microsoft Office file types. Simply click or drop to upload, then download your optimized file. WeCompress was added by WeCompress in Apr 2018 and the latest update was made in Sep 2018. The list of alternatives was updated Apr 2019 There is a history of all activites on WeCompress in our Activity Log. It's possible to update the information on WeCompress or report it as discontinued, duplicated or spam. PDFResizer.com PDF editor allows you to instantly split and merge, optimize, crop, resize, and convert your documents online with just a couple of clicks. All the PDF editing tools in one place, to merge, split, convert, watermark and decrypt your PDFs and more. 20 free online PDF tools, including PDF to Office, iWork conversion, merge/split PDF, unlock/encrypt PDF, compress PDF and more! The desktop version is also available. .
easy-to-use application with a friendly design that allows you to quickly and without loss of quality compress any PDF file. Alternatives to WeCompress for Web, Windows, Mac, Windows Phone, Windows Mobile and more. Filter by license to discover only free or Open Source alternatives. This list contains a total of 25+ apps similar to WeCompress. No reviews yet for WeCompress, want to be first? 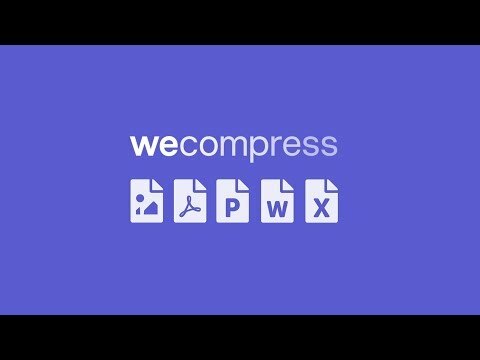 Maybe you want to be the first to submit a comment about WeCompress? Just click the button up to your right!